The Clash Pack is designed for two players. It contains two sixty-card decks that have been constructed to be played against each other. 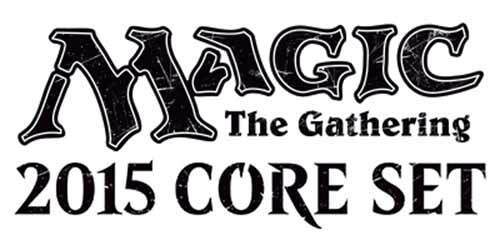 It's a great way to introduce new players to Magic. 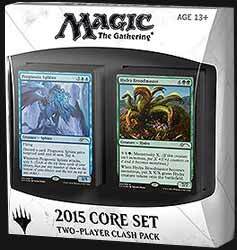 The pack also comes with six premium foil cards with alternative art. Specially created for players who want to up their game and play on the next level, this Clash Pack contains two decks ready for you to crack open and battle with a friend. Then take your favourite cards and combine them into a single deck capable of laying down some serious damage. It includes six premium cards (three per deck) with alternative art not available elsewhere, as well as a deck box big enough for both decks. And for those that feel confident enough, after playing this, to take their gaming to the next level, the Clash Pack comes with instructions that show you how to combine cards from each of its decks to create a new deck designed to be equal in power to what you would expect from an Event Deck. But this is only one combination. There are countless ways to make a deck your own. So, another interesting release in the Magic series, and one that is perfect for fans who want to introduce a friend to this wonderful world.